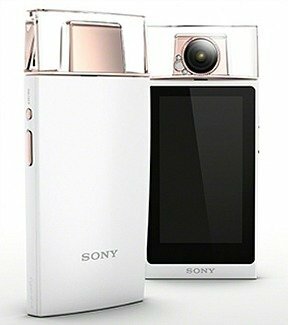 Sony has announced their newest self-camera, Cyber-shot DSC-KW11 which designed for fashion and selfies lover with body shape look alike with perfume bottle and complete with Swarovski crystals. 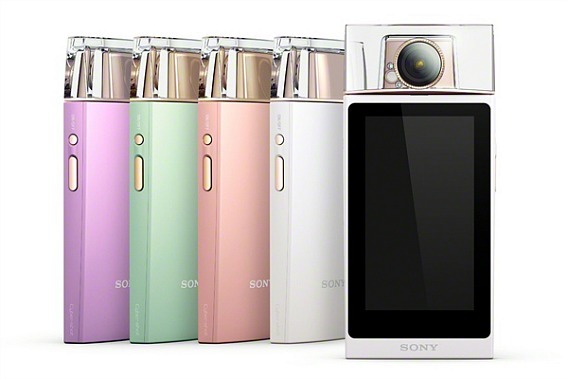 Sony Cyber-shot DSC-KW11 is available in four awesome colours – pink, green, purple, white. This selfie camera is being targeted at female users in their late teens and twenties who enjoy fashion and taking photos of themselves. Cyber-shot DSC-KW11 equipped with 19.2-megapixel 1/2.3-inch Exmor RS CMOS sensor and f/2 21-mm (millimeter) wide-angle lens that can swivel 180 degrees for easy selfie shots. It’s the first Cyber-shot featuring Sony’s stacked CMOS image sensor featuring high quality image shots even in low-light environments. In addition, Cyber-shot DSC-KW11 boasts a 3.3-inch OLED screen display, with a 1,299k resolution and LED light flash that can be swiped with a thumb to activate the timer mode. The camera also has Wi-Fi and NFC (near field communication) connectivity to allow for sharing photos on social networks and between devices. 4 Shooting modes on Cyber-shot DSC-KW11 includes Intelligent Auto, Scene Selection, Beauty Effect (in Audio and Video mode – Skin Smoothing, Skin Toning, Eye Widening, Face Slimming, and Shine Removal) and Picture Effect (Toy Camera and Partial Colour). Sony Cyber-shot DSC-KW11 selfie camera comes with dimensions of 57.7x125x20.1mm and weighs 136 grams. It will be available in Asia-Pacific region start from October, but there is no word on the price yet.